We are very sad to pass along the news that Lola became sick while in foster cae and passed away this morning. We will all miss her greatly. 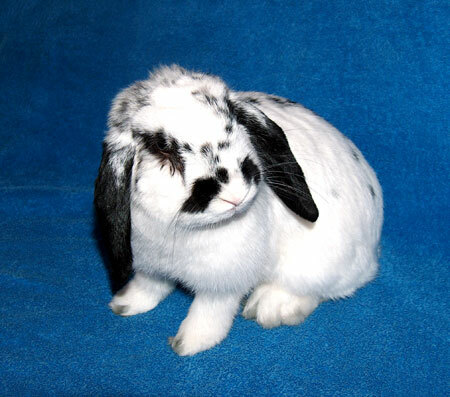 A necropsy is being performed to determine what may have happened, and as difficult as this is to do, it provides us with medical knowledge to help other rabbits. Hi! My name is Lola. I am a very happy,outgoing and pretty spayed girl who's very eager to be adopted. I really like when people stop by to see me and say hello. You can be sure I will do my best to impress you with my bunny charms and flirty ways. I recently came to SaveABunny from a local shelter that was concerned that one of my eyes is a bit "weepy." I am getting treatment and may always have some low level issue with my eye that would require monitoring. That's the only reason I am listed as a "special needs" rabbit. I'm a FABULOUS and fun bunny girl, and if you are willing to add some extra care for me, then I know you will be thrilled if you adopt me. I'm a special girl!